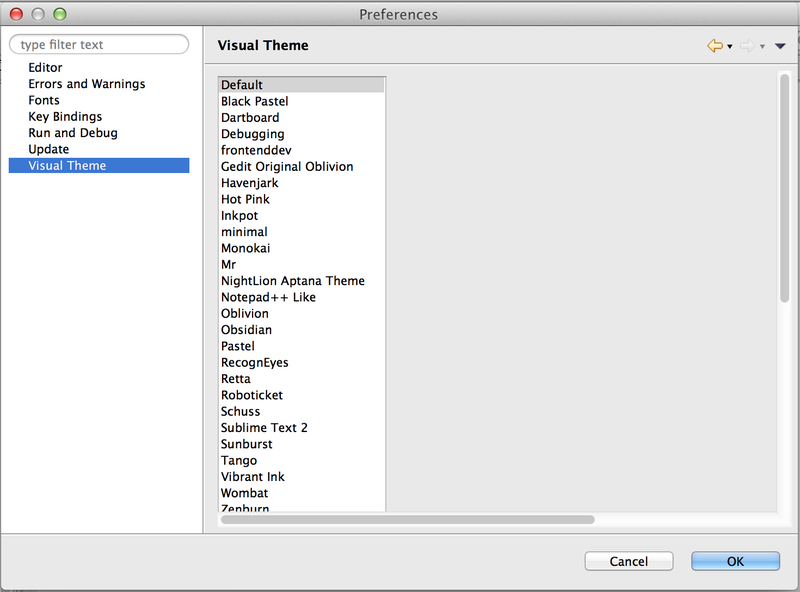 Dart Editor has a new build that supports theming, better error reporting, disabled support for the old getter definition syntax, numerous changes to the dart:html library and more. 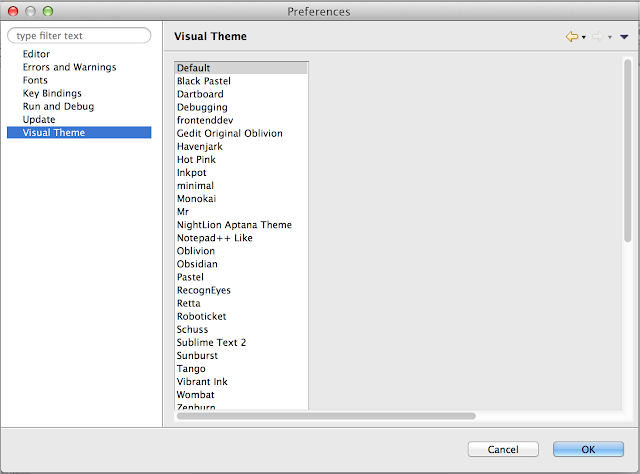 Added support for theming the Editor - check out the 'Visual Themes' page in the preferences dialog. The extract local Variable refactoring can now extract part of a string literal. Several build.dart improvements, including better error reporting. There's now an option to not warn when a class with noSuchMethod() has unimplemented members. Added an analyzer command line option: --type-checks-for-inferred-types. This lets command line users get the same warnings they would get with the editor. Analysis changes to support the upcoming iterator changes. Html editor tweaks and improvements. Element.addText and Element.addHtml have been renamed to Element.appendText and Element.appendHtml. There is now Element.append(element) as an abbreviation to Element.children.add(element).